I'm the fastest man in the world. 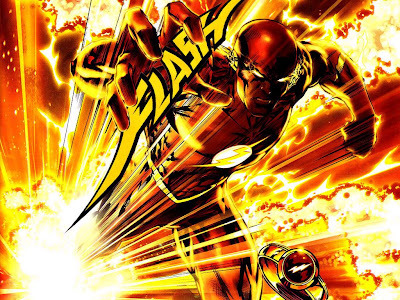 So a lot of people ask me: "How did you become the fastest man in the world?" My response is simple. Practice. But when I say "practice", I don't mean "practice running", or "practice running fast". No. I mean "practice being the fastest man in the world". Start from there. You have to be it before you're it. Got me? 1. Outrun and then chase down an antelope, and devour it. 2. Outrun and then chase down an antelope that a cheetah is already chasing, then devour the antelope in front of the cheetah and then devour him if he doesn't like it. 3. Get some colored rocks and a slingshot. 4. Start running as you hear the snap of the slingshot and beat the rocks to whatever target you've shot them at. Colored rocks make it more fun. 5. Get to know some people at NASA, and then race the space shuttle (Bring a cape so you can keep chasing it while you are flying in the upper stratosphere...if you haven't caught it by the time it escapes earth's orbit, you've lost, and you'll never be as fast as me). This is the last guy I beat. Look, he can't even chase down a ring. And he needs to hold the word 'flash' in his hand to remind himself of the shell of a superhero that he now is thanks to me. PS - Usain Bolt only competes against humans. Weak sauce.